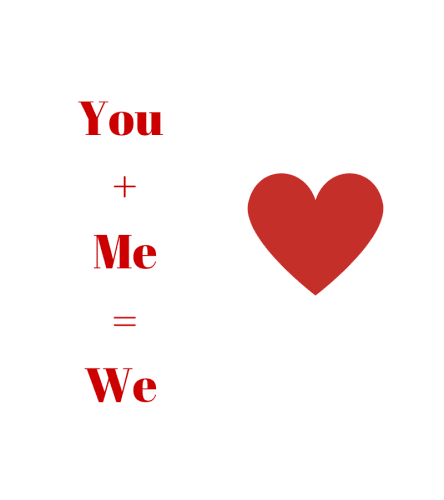 Valentine's Day is a great day to celebrate those you love. 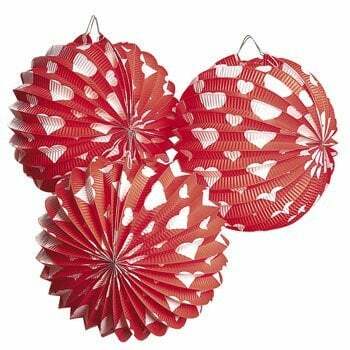 Last year's Valentine's Day post was a great success and below are a few more Valentine gift ideas; from cards, garlands, food, balloons and flowers to celebrate Valentine's Day. The easiest way to get into the Valentine's Day mood is to create it all around you. Nothing like a few subtle hints to remind others that love is just a smile away. 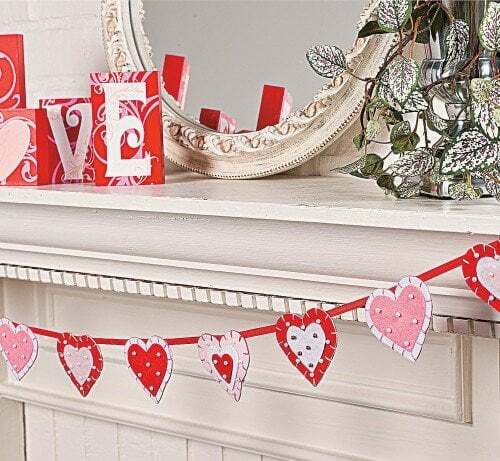 Flowers, banners and garlands are great ways to decorate your living room, front door and bedroom with Valentine's Day decorations. This 6 ft, felt garland can be so easily made. But I know I'll be too busy organizing a special Valentine's Day dinner menu and will probably buy one. are decorated with pearl beads and stitching, so it looks every bit handmade. I know, I know, I could make it less for the $15.89 cost but it would probably cost me in run around time. Even if I did nothing else this will brighten the living room. 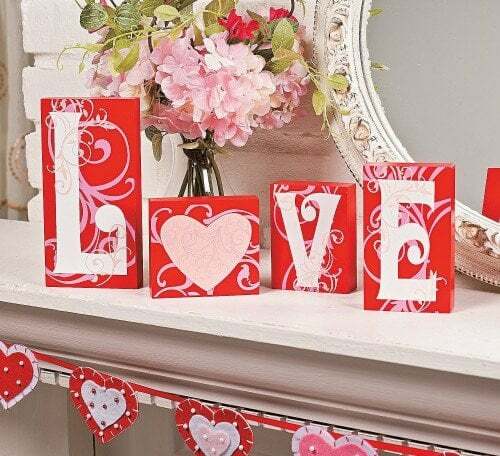 But I will make these Love blocks; wood, stencils, red and pink paint and 4 letters.. too easy. 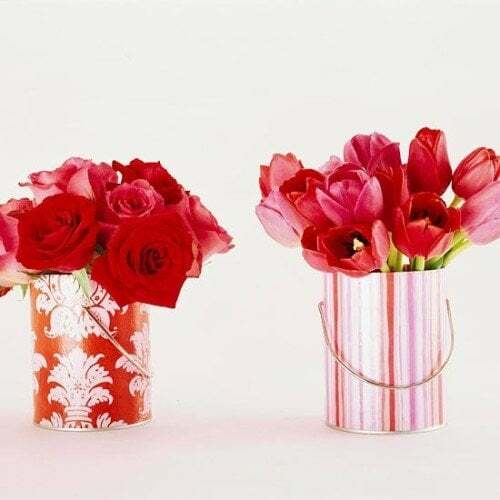 Valentine's Day decorations can be as simple as covering old paint tins in pink or red wallpaper scraps for all those bouquets of flowers waiting to be delivered. 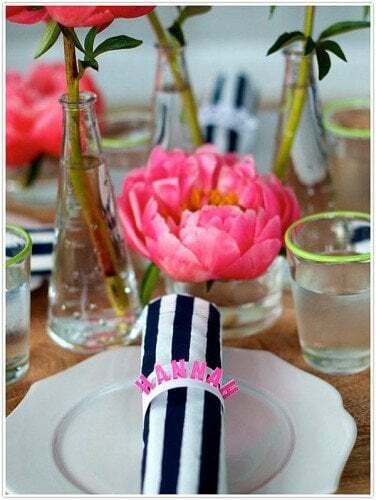 This idea is simple and adds pops of color. I'm hoping to make a few Valentine's Day gifts because I think its such a great day to be thankful and thoughtful to people who touch your life.. as well as those who give lingerie. 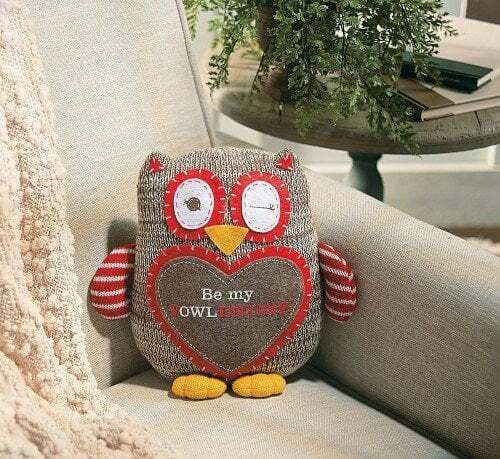 This cute owl shouldn't be too hard to make, made out of an sweater and some felt. 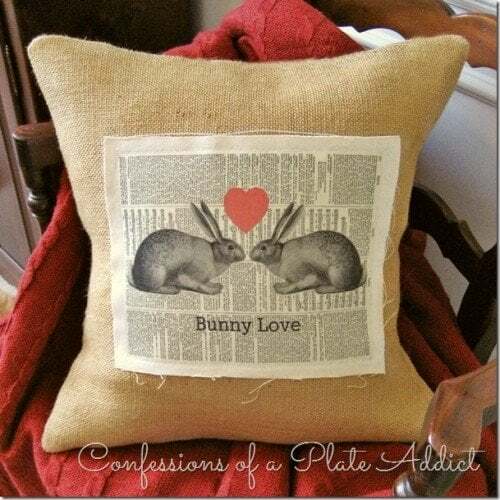 Or convert a cushion into a Valentine's Day gift like the one below from Confessions of a Plate Addict. Don't forget the front door. 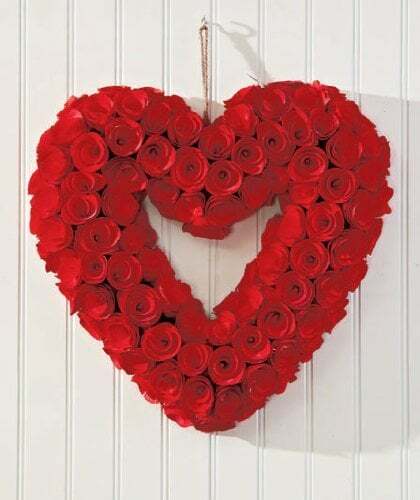 There are lots of great Valentine's Day wreaths to make or this one below to buy. 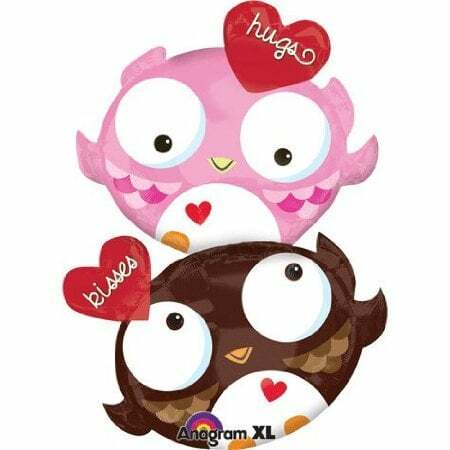 tells the world you are a Valentine's Day Home. Isn't it gorgeous? Telling someone you love them can be as simple as leaving a few love notes around. It's carving out the time to do it; and Valentine's Day is just that day. 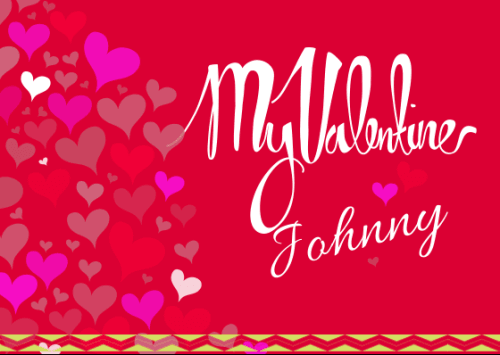 You can use a great online tool like Canva to create mini masterpieces like these below. It only took a few minutes and they have lots of templates to create cards or stationary to give or frame. These are easy to make and perfect to add to a lunch box, use as a gift tag or name place setting at the dinner table. Simple or fancy paper, a computer and printer will do the job in minutes. 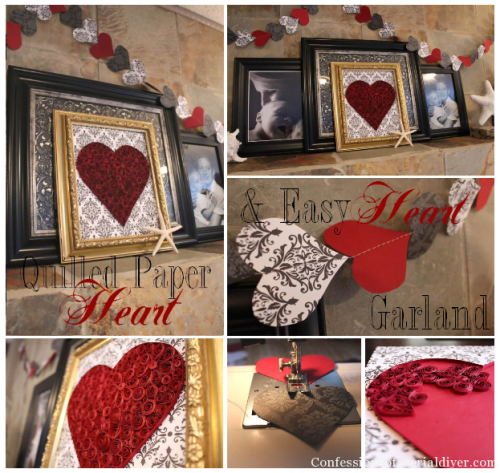 If you would like something a little larger to frame, or send as a postcard, then how about these homemade Valentine's Day ideas from Confessions of a Serial DIYer? At less than $2 these are a thoughtful gift on Valentine's Day as a keepsake. You can add a date or initials to monogram them. 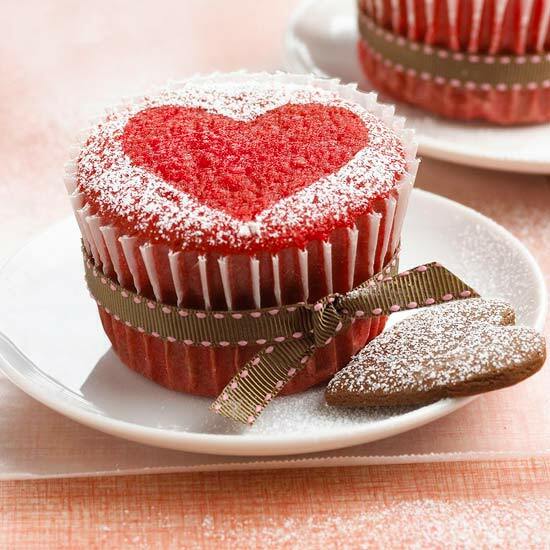 For those who love to bake, festive homemade Valentine's Day food ideas like heart shape biscuits, cupcakes or cakes will remind you of your Valentine with each cup of tea or coffee. 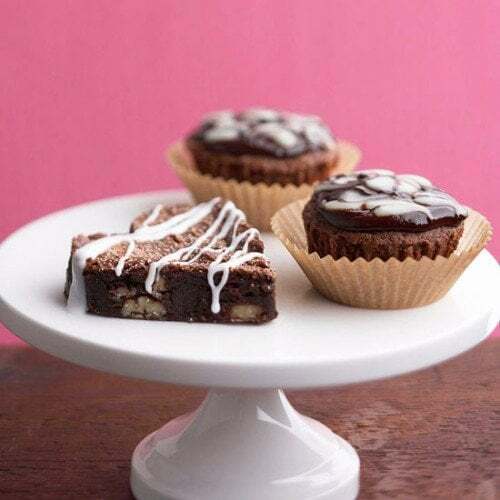 These Valentine Day food ideas are fun and Better Homes and Gardens has 33 homemade valentine ideas sweet treat ideas. Below is the humble cupcake. 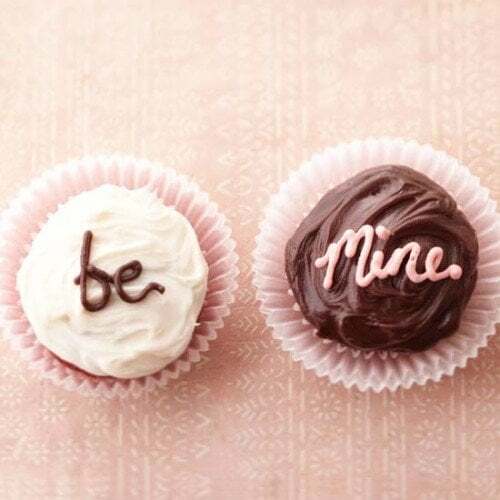 These cute Valentine cupcakes are great as part of High Tea - Tea Party Etiquette – Etiquette and Menus Guide or give to friends as an after dinner treat. 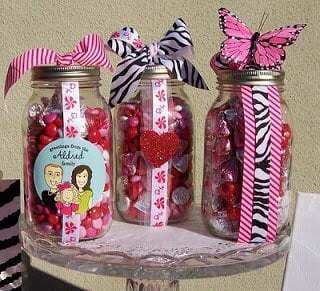 Maybe you would prefer something in a jar like these Mason Jar treats from The Creativity Exchange. They look great, don't they? If you are past the romantic Valentine's Day dinner, or don't have a Valentine, then why not have a Valentine's Day dinner at home with friends and family or invite prospective Valentine candidates over for dinner or cocktails? 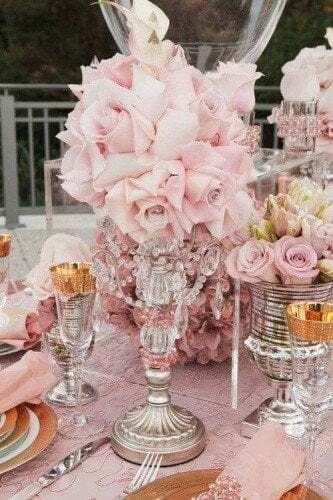 You could go all out with a full-blown party or formal table setting. 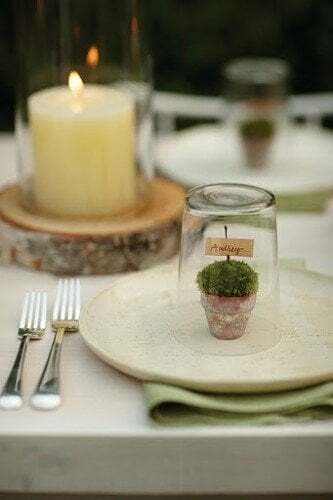 But if you would prefer a relaxed table setting there are candle holder ideas to make, moss centerpieces and vase and vintage silver planter ideas galore to suit your budget and taste. Your Valentine's Day food can be simple or chic but celebrating with close friends over dinner is a thoughtful gift that will be remembered for years, so enjoy. ; very cute and less than $4.50. 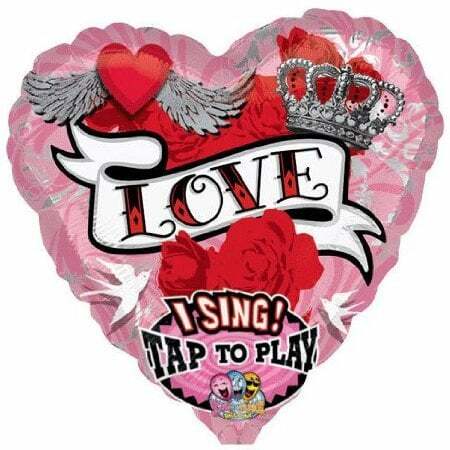 You can go musical with a 'Crazy Thing Called Love' Balloon - perfect and around $6. Just 'tap' and it sings. 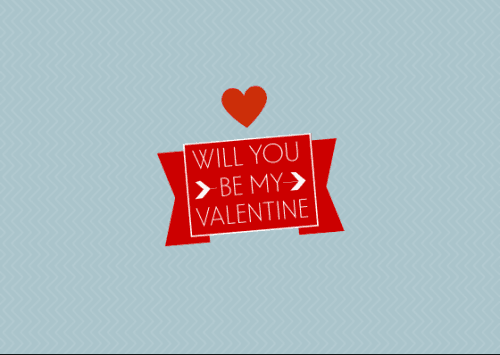 Maybe its a little cheesy - but it's Valentine's Day and you can celebrate it however you like.. Remember to give thanks on Valentine's Day for all the loves in your life. Here are more Thank You Gift Ideas if you need a little more inspiration to help you make your Valentine's Day one to remember. Whether its a romantic dinner or sweet treats, may your Valentine's Day be as sweet as it is long.